Category: Vegetarian Besciamella is a mother sauce, which is versatile. It can used in many different pasta and vegetable recipes. 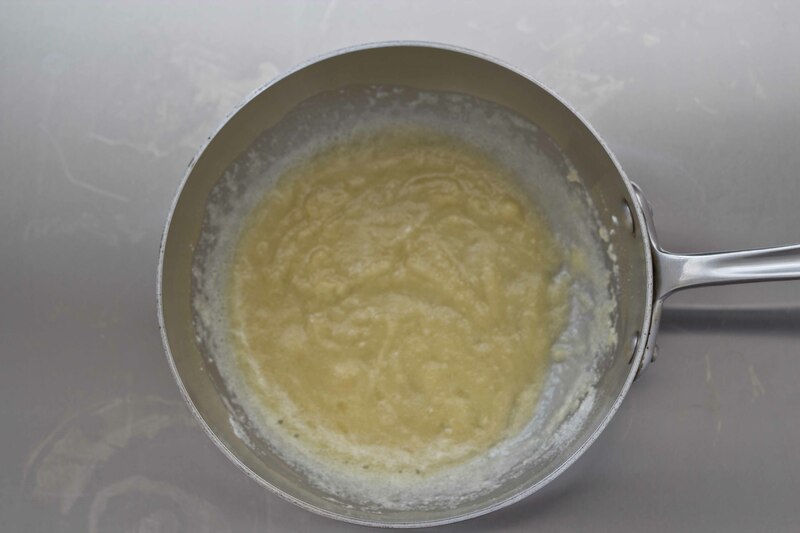 Depending on its use, more or less milk can be added. 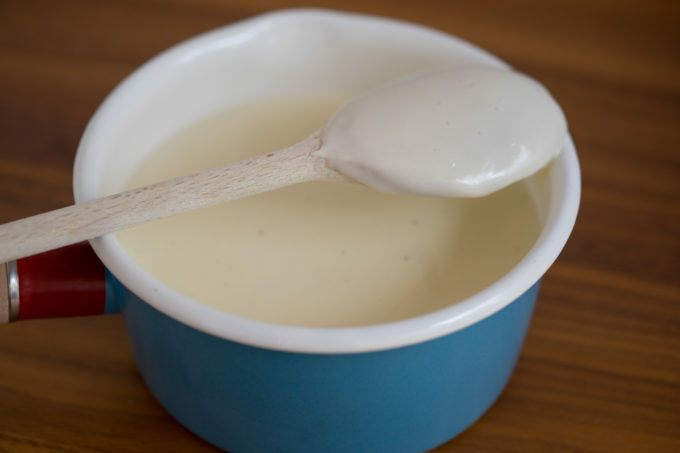 Heat the milk either in the microwave for 2 minutes on high or in a saucepan until it begins to simmer, about 10 minutes. 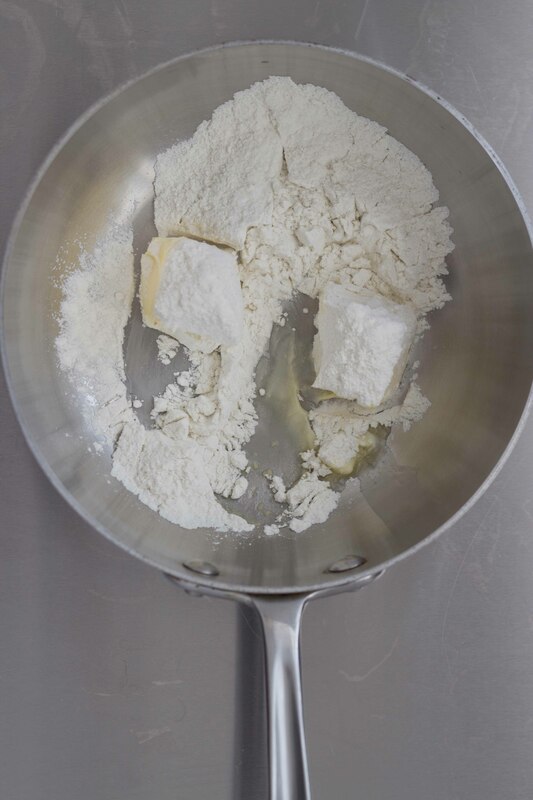 Put the butter and flour into a saucepan. 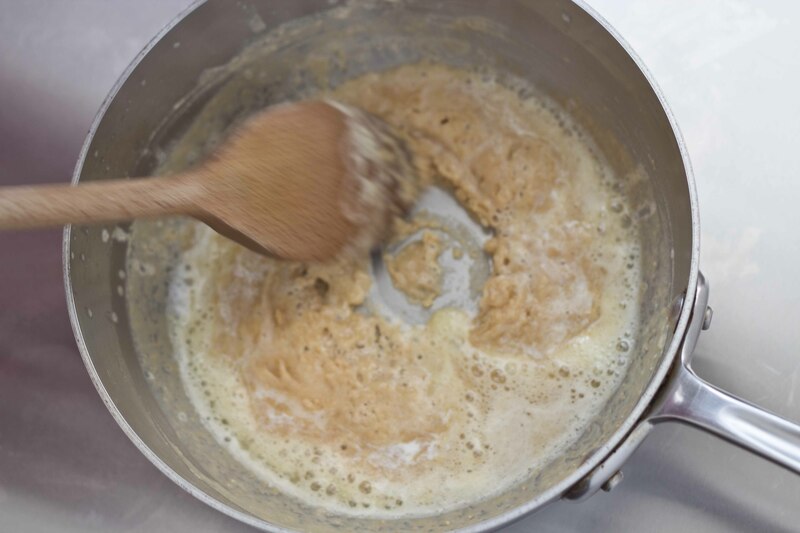 As the butter melts, mix the butter and the flour together. 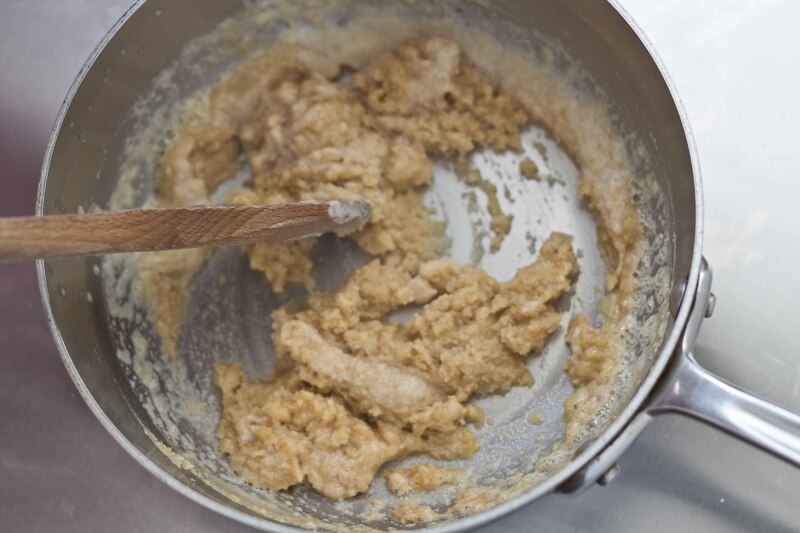 Use a wooden spoon to mix well so that it doesn’t have lumps. 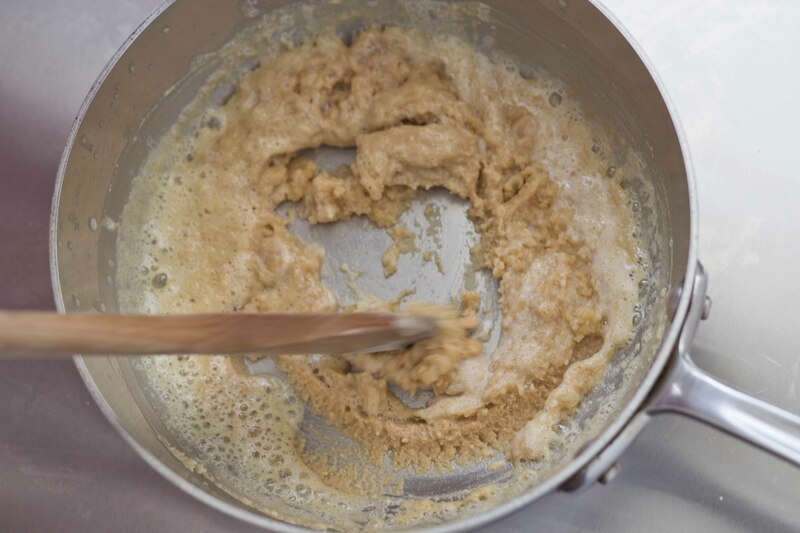 Keep stirring until you can smell the flour start to cook and the colour changes to a deep golden colour (not dark) like sponge cake, 8 to 10 minutes. Begin adding the hot milk little by little. 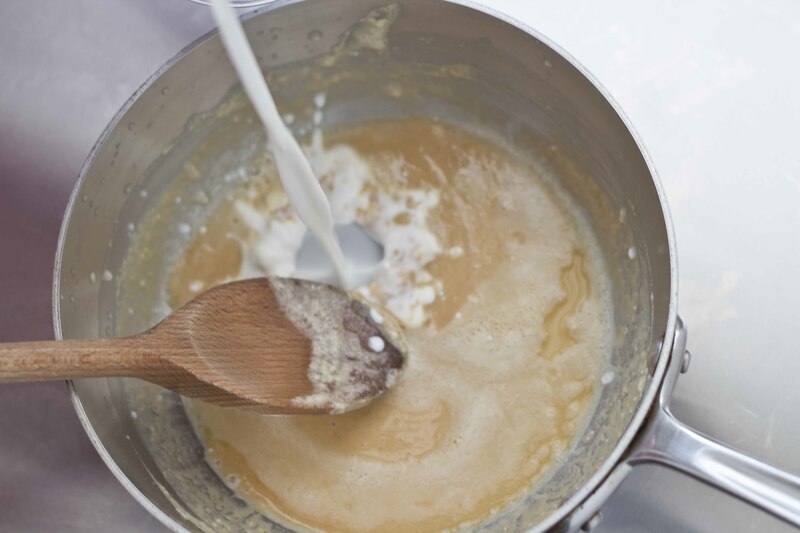 Completely mix in a small amount of milk ensure it is completely mixed in before adding some more. 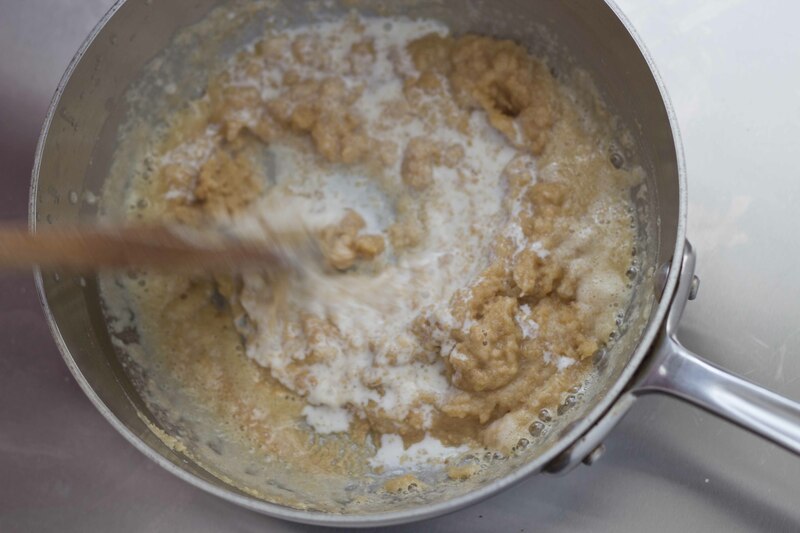 Mix until you have it well incorporated with no lumps. 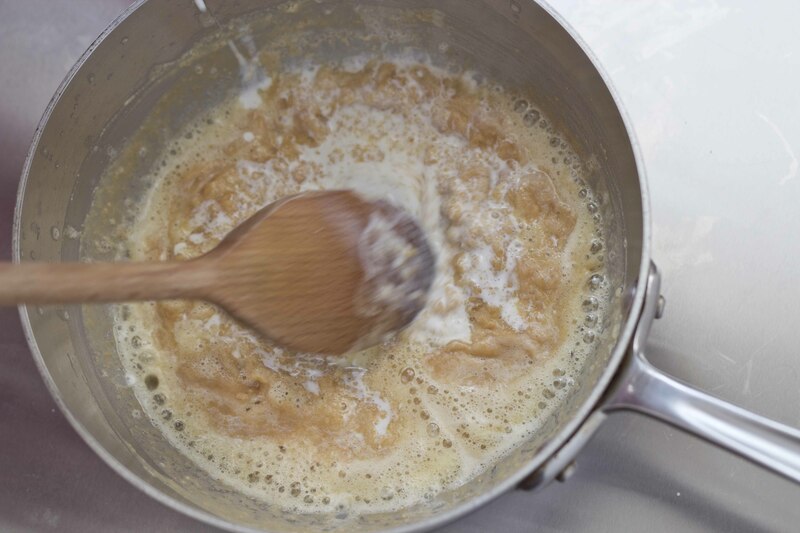 Add the salt to taste and the nutmeg, continually stirring until the sauce is thick, about 10 minutes. It is finished with it coats the back of a wooden spoon. 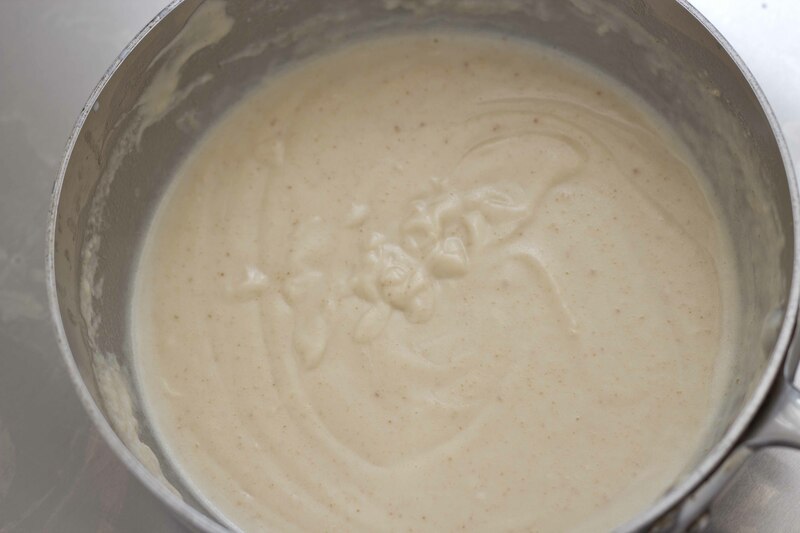 Keep in a container covered with microwave cling film touching the top surface so that it does not develop a skin. 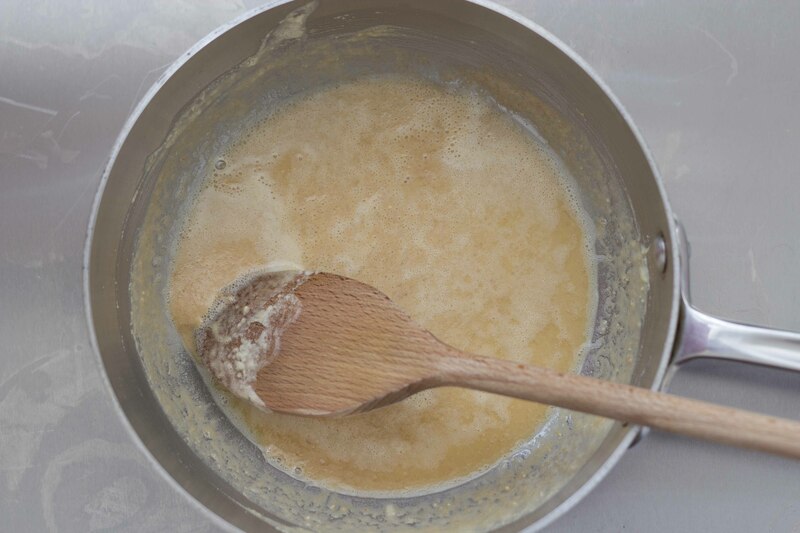 Place the butter into the mixing bowl and melt 3min/100C/Speed 1. Add the flour and cook 3 min/100C/Speed 1. Add the milk, salt and nutmeg (if using) and cook 10 min/90C/Speed 4.